Since 2007, Looney's Girls Lacrosse Club has been providing its players with the highest level of coaching, practice and game experience. Our mission is to help young women prepare for lacrosse at the highest levels and more importantly for life after lacrosse. We still have limited openings on our 2021 team. If you are interested in an evaluation please email looneyslaxvp@gmail.com. First practice is April 14th - details to follow. To register as an alumni, click here! To order uniforms, click here. Our brand new spirit wear store is now open 24/7/365. To start shopping click below. Please visit the team profile pages below. For additional information on a particular player, please contact the respective coach or our recruiting coordinator. Click here for important resources regarding college recruiting. Looney's would like to highlight our sponsor! As a 501(c)3 non profit organization, we rely on the generosity of sponsor to provide assistance to athletes and families in our program, as well as to purchase equipment and other necessities. 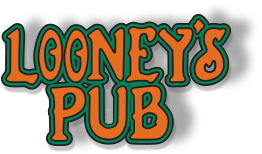 Without the generous support of Looney's Pub, we would not be able to meet our goals as a club. If you are interested in supporting Looney's Lacrosse Girls Club through a sponsorship, please contact us at looneyslaxpres@gmail.com for more information.